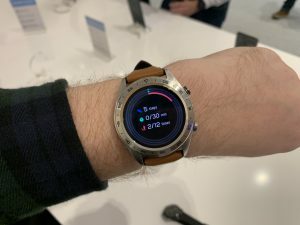 No UK pricing and release information has yet been revealed for the Honor Watch Magic; however, Carphone Warehouse will be pushing the device as a pre-order incentive for those buying the View 20. In Europe, the wearable will cost 179 euros; expect a similar price in the UK. No US release appears to be planned at the time of writing. 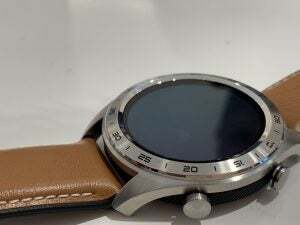 In many ways, the Honor Watch Magic is very similar to the Huawei Watch GT. There are a couple of worthwhile differences, though. It’s slightly thinner and smaller, plus it doesn’t quite reach the seven-day battery life that Huawei quotes. Considering these two companies are linked, it shouldn’t come as much of a surprise. Nevertheless, it feels at odds with Honor’s recent shift away from simply rebadging and slightly tweaking Huawei products. Like the Huawei Watch GT, the Watch Magic is a wearable designed mainly around fitness. There’s GPS for accurately tracking runs without needing to haul your phone along, too; 5-ATM waterproofing and a bunch of swim-tracking features, plus a generous suite of activity modes. You’ll also find an HRM that can track your heart rate throughout the day. The thing is, as good as tracking on the Honor Watch Magic is (we found it pretty impressive in our Huawei Watch GT review), you’re locked in to Huawei/Honor’s health app. If you’re a big fan of Strava, for example, the data collected here won’t be much good to you. Another similarity between the Magic Watch and Huawei’s flagship wearable is the software. Unlike the majority of the smartwatches from the likes of Fossil and TicWatch that are powered by Google’s Wear OS, this is running Lite OS. Lite OS is great for battery life: Honor says you’ll get seven days from a single charge (that’s from a 178mAh cell). However, it lacks basic app support and, bizarrely for a device aimed to fitness use, a music player. There’s also no form of mobile payments here, meaning you can’t quickly tap your watch against a contactless terminal to grab a drink after the gym. Where the Magic Watch makes a better impression is in terms of design. 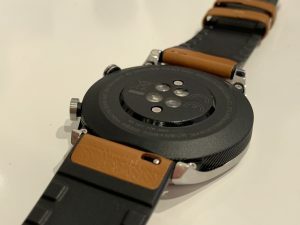 This is a smartwatch that looks like a decent mechanical watch, rather than the Apple Watch, for example, which is clearly a mini-computer on your wrist. There are multiple band options ranging from sporty silicone and genuine leather to a vivid red collaboration with designer Vivienne Tam. It does feel like it’s suited more to men, though, especially with the rather large face and – although Honor couldn’t confirm this – one size. The circular 1.2-inch 390 x 390 AMOLED display is decent, too, with punchy colours and an always-on clock mode that constantly shows the time – even when you’re not looking at the screen. Considering the Watch Magic feels very familiar, it’s hardly a surprise that its announcement was kept brief. While I’m yet to fully review the device, at this point it appears that it will suffer the same issues as its Huawei-branded counterpart. The lack of apps is a shame, as are missing features such as music controls and mobile payments. Still, if you want a good-looking smartwatch purely for fitness tracking, it could be a good choice. The post Honor Watch Magic first look: Fitness-focused yet limited appeared first on Trusted Reviews.